I awakened with my head heavy and a giddy feel. The cold breeze reminded me of last night’s ordeal. The rain hasn’t subsided but we need to keep moving amidst the unwieldy state. 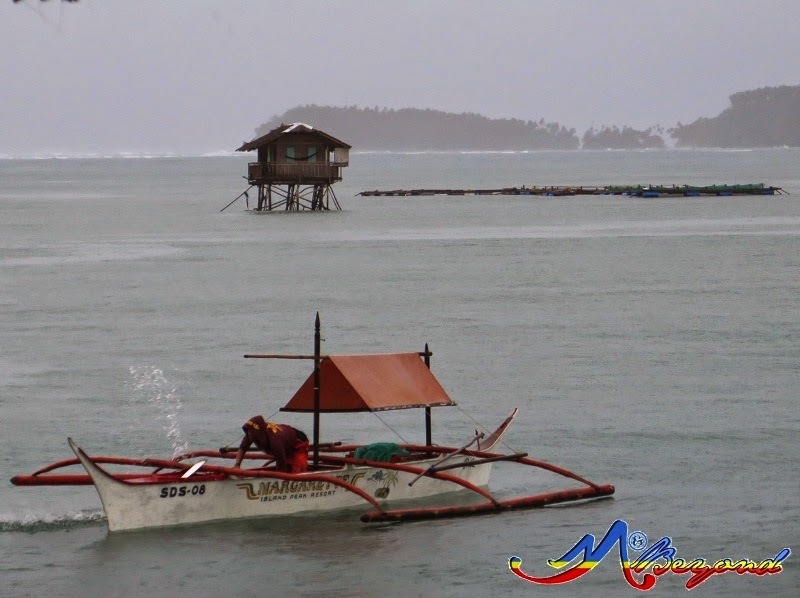 The commuting us was first to cross to land then will meet up with the rest at Bislig who’s travelling by van. Of course, we secured our stuff to keep dry. The first boat was just right to fit us four with buttocks nearly touching the sea. As we willowed ashore, the downpour severed leaving pure white vision at sight. We slowed down but as the saying goes, when it rains, it pours… the engine stalled. The boatman had several futile attempts and his assistant was of no help busy dipping the water out. 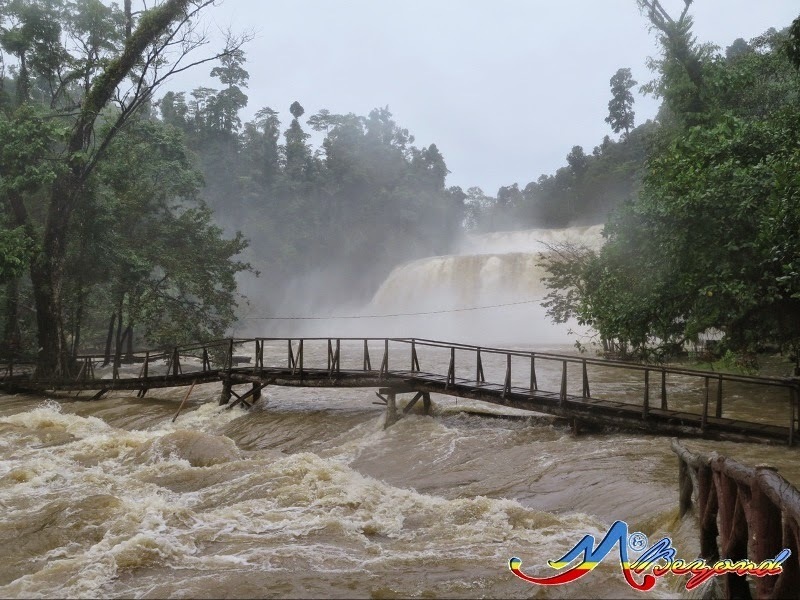 The original plan was to meet-up at Bislig for Tinuy-an falls. Confident that the team will pursue as planned, we decided to leave in their van our belongings. I opted to bring with me my bag as I figured the chilling wind during the 30-minute habalhabal ride to the terminal. True enough, we were dripping and quivering as we steered. Just before we reached Bislig, the group messaged of their reroute. 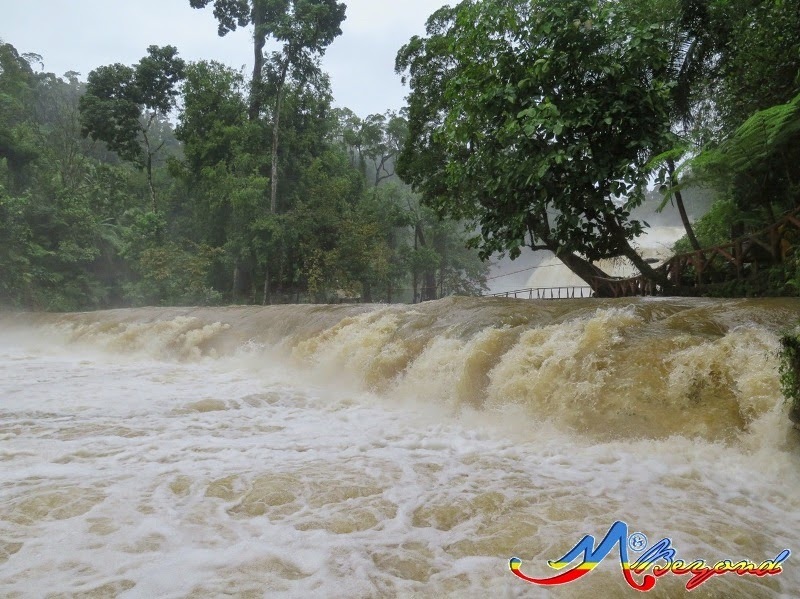 They’re no longer taking the Bislig route. We were stunned with thoughts of our stuffs on their van. Davao is still 5-hours away and we can't endure that long being wet all way down. But what welcomed us was a raging waterfall; furious and wild beyond the charming beauty I envisaged along. 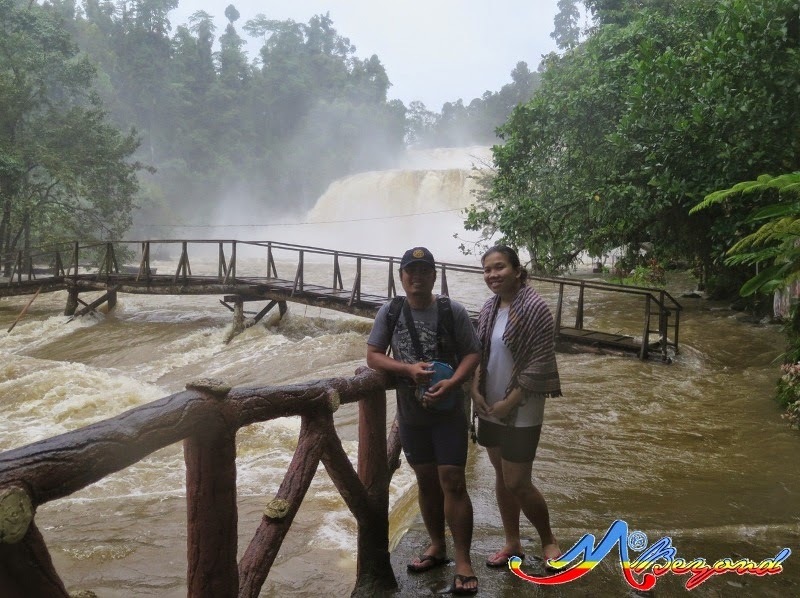 We returned to Bislig muted and somewhat displeased. Well, that’s nature and it has its way. At Bislig, we shopped for clothes then lucky to have a shuttle all by ourselves, a compliment to the earlier doom. Then we regrouped with the rest at Davao City for the Samal Island cross. With the downpour unending, our camp out plan ended in a villa at Kostal Beach Resort. We comforted our gloom with karaoke all night long.